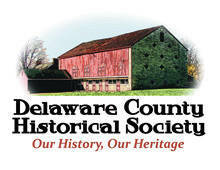 The Delaware County Historical Society will present its next community history program at 7 p.m. on Thursday, April 18, inside the newly renovated The Barn at Stratford, 2690 Stratford Road, Delaware. The program topic will be Elmer Washington Bryant Curry, an African American who was born in 1871 and raised in Delaware, Ohio. At the young age of 17, he founded The Curry School and dedicated his life to preparing African Americans with both an academic education and a practical trade as a way to both improve his students’ lives and also to “uplift” African Americans in society. The program is free and open to the public. To ensure adequate seating, registration is strongly encouraged. To register, find the program listing at EventBrite.com, or use the link in the article about the program on the DCHS website (delawareohiohistory.org). For more information or help with registering, email Programs@DelawareOhioHistory.org or call 740-369-3831, ext 3.